The 61st annual Grammy Awards took place last night (Feb. 10), and when it comes to the event’s hard rock and metal categories, both veterans and up-and-comers took home trophies. Best Metal Performance for 2019 went to High on Fire for their track “Electric Messiah.” Other nominees in that category included Between the Buried Me (“Condemned to the Gallows”), Deafheaven (“Honeycomb”), Trivium (“Betrayer”) and Underoath (“On My Teeth”). St. Vincent took the 2019 Best Rock Song honor for “Masseducation,” beating out Greta Van Fleet (“Black Smoke Rising”), Ghost (“Rats”), and Bring Me the Horizon (“Mantra”) and Twenty One Pilots (“Jumpsuit”). 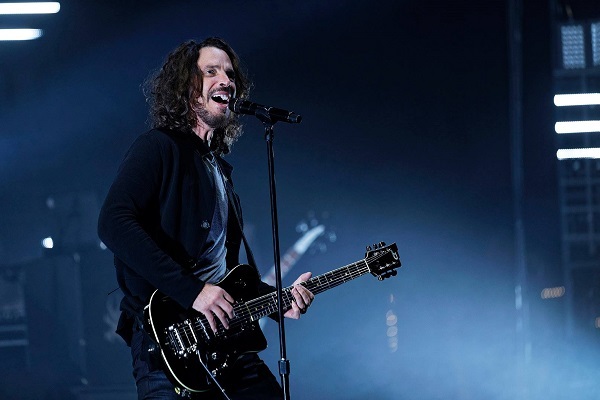 For Best Rock Performance, the late, great Chris Cornell was honored with the trophy. Other nominations went to Greta Van Fleet (“Highway Tune”), The Fever 333 (“Made An America”), Halestorm (“Uncomfortable”) and Arctic Monkeys (“Four Out of Five”). In the Best Rock Album category, nominees included Alice in Chains with “Rainier Fog,” Greta Van Fleet with “From the Fires EP,” Ghost with “Prequelle,” Weezer with “Pacific Daydream” and Fall Out Boy with “M A N I A.” In the end, Michigan rockers Greta Van Fleet took that award. For the general music categories of Album of the Year, Record of the Year and Song of the Year, the Grammy Awards didn’t feature any hard rock or metal. The 61st Grammy Awards took place at the Staples Center in Los Angeles, and for the full list of winners, go here.